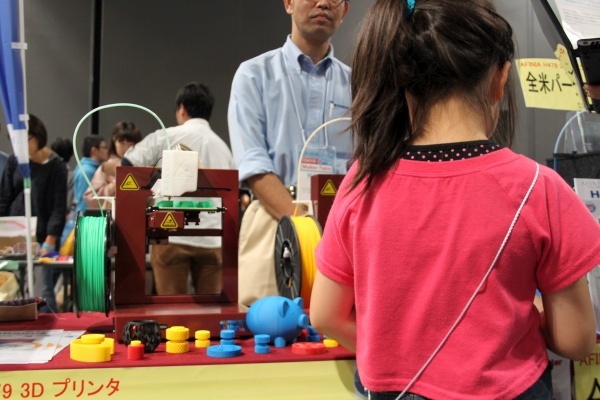 3D printers have come to dominate Maker Faires around the world, but Tokyo has some unique and creative designs we’ve not seen anywhere else. Check out the 3D printer village below the break. Several printers used three arms and a vertical axis instead of the traditional X, Y, Z axis. 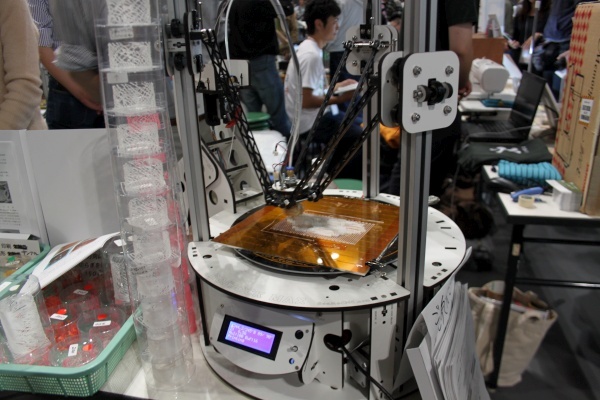 This is the popatural-direction 3D printer by Yasusi Kanada. 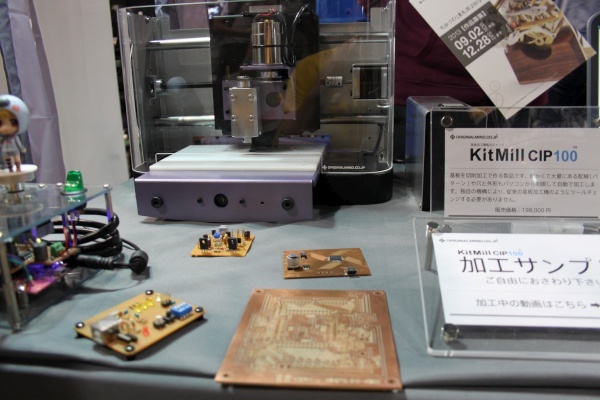 The KitMill CIP100 is a computer controlled (CNC) mill that cuts traces into circuit boards. Milling boards at home reduces the time between board revisions. A common problem with CNC PCB mills is maintaining a level surface across the board – often times one side will be over cut and the other under cut. The test boards looked great, using both larger through-hole and small surface mount parts (TQFP chips). 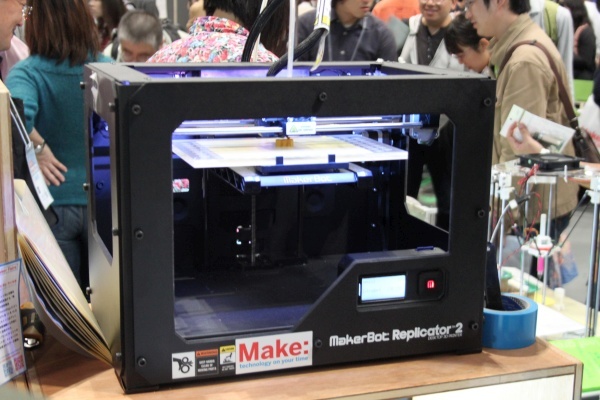 The printer everyone knows, the MakerBot: Replicator 2. 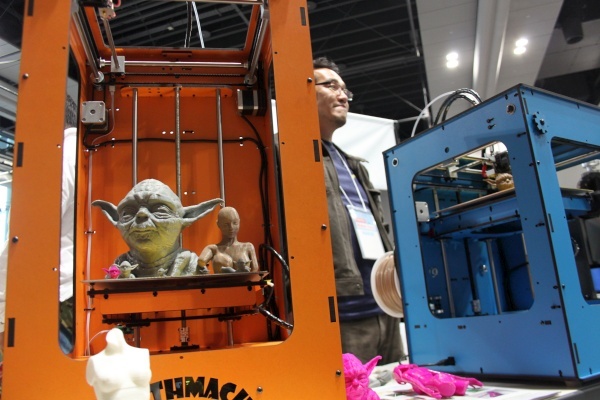 Compact and inexpensive 3D printers are ever more common. Another small, compact 3D printer. 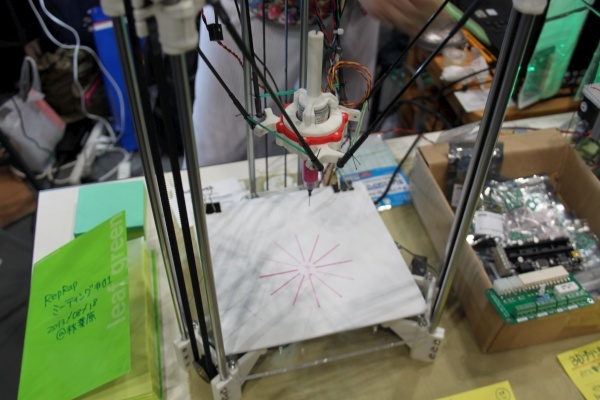 This entry was posted on Monday, November 4th, 2013 at 12:00 pm	and is filed under Maker Faire. You can follow any responses to this entry through the RSS 2.0 feed. You can skip to the end and leave a response. Pinging is currently not allowed. Better, thanks – but still nothing about solder paste, or placing electronic parts (done by hand?). The KitMill CIP100 for about $2000 looks really nice…. Do you have some link to the maker’s site for this paste dispensing Rostock? 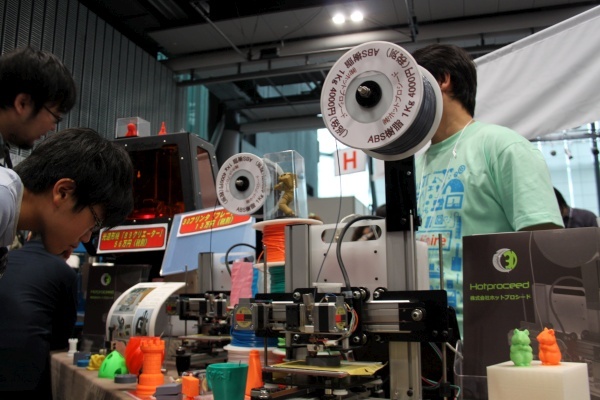 It’s a booth of Reprap Community Japan.